In August as the end of the summer drifted away and the impending doom of school lay before my boys, I noticed my 11yo become increasingly more anxious. He’d had a rough time with an abrupt school transition at the end of last year. And now there seemed to be a residual fear haunting him. 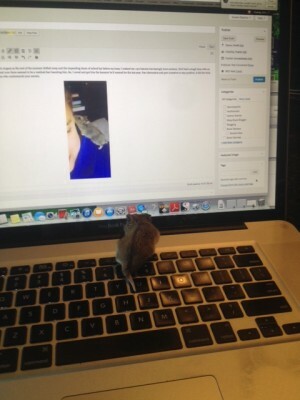 So, I caved and got him the hamster he’d wanted for the last year. Part distraction and part incentive to stay positive, it did the trick. Perhaps sometimes all you need in life is someone who understands your secrets and shares a few of their own. There is security in friendship. 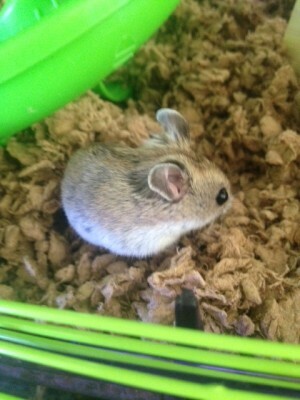 But once the 9yo laid eyes on the 11yo’s Blueberry Dwarf Hamster, he started saving for one of his own. And because I loved little Fredrick so much, I said what the heck–we went to get the next little furry friend on Sunday. This hamster is keeping me on my toes. This tiny, big-eared, baby girl name Herbie is a handful and she’s made me very nervous. She was sound asleep. And I realized something very important. Sometimes we all need to feel secure. Challenges and hardships are how we move forward. Change is how we arrive at the better new things we’re usually too afraid to venture out towards. But in the middle of change and challenge–sometimes we just need a few moments to feel secure. This is true with writing for publication. Returning to a manuscript again and again without knowing if it will ever find a home is a lot like running non-stop on a hamster wheel. Am I really gong somewhere? And if you really do “arrive”–I’m here to tell you that as happy as I was to be dropped in the Habitrail of Simon & Schuster, it was confusing and scary and at times immensely overwhelming. But there were people who made me feel secure along the way. I’m fortunate, there were many of them, but I am particularly grateful to my family, my agent Michelle Wolfson, my editor Anica Rissi, the SCBWI and my fellow debut authors from the Class of 2k12 and the Apocalypsies. They fed me small bits of advice and chocolate and smoothed my fears when my heart was racing. They talked me off the wheel when I was a little bit excitable and just couldn’t stop myself. And then let’s talk about “internet security,” but with a twist. Lets face it, publishing success and horror stories are easily accessible online–only a google search away. And the truth is that sometimes the good stories can mess with your head just as much as the scary ones can. We tend to be creatures of comparison, jealousy and insecurity at the worst of times. Be careful what you expose yourself to. I encourage you to use those resources to be well informed and learn things that will make you a better writer. I want you to read books and articles and interviews that will allow you to be inspired daily. Having access to that is a gift. But watch what you take in and what it’s consumption does to you. It’s important to find the people and places that make you feel secure. Surround yourself with people who care. They might not always get everything right, but more often than not they do. You’re not always looking for the person who speaks hamster, but rather the one who cares enough to try and understand. Lots of great things can happen for people who have enough moments of security in their lives. 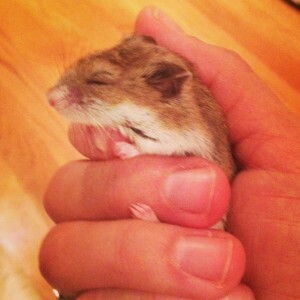 Those special moments fuel the tank for adventure, create friendships and allow uptight hamsters to take a little nap. But even more important, you just can’t begin to imagine where those moments of security will lead you.